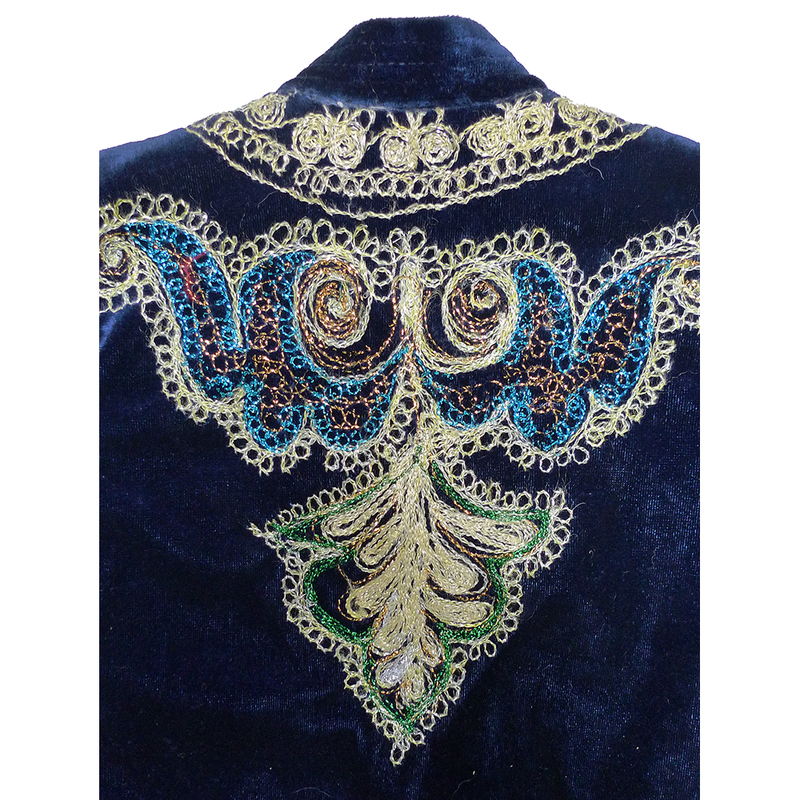 This cute little robe was made for a young boy to wear on festive occasions. 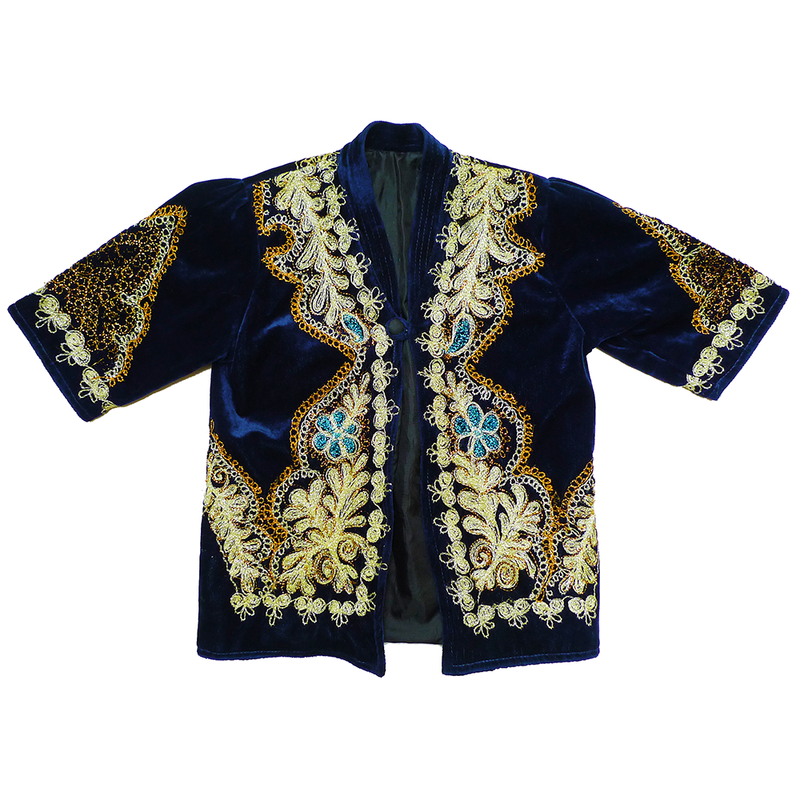 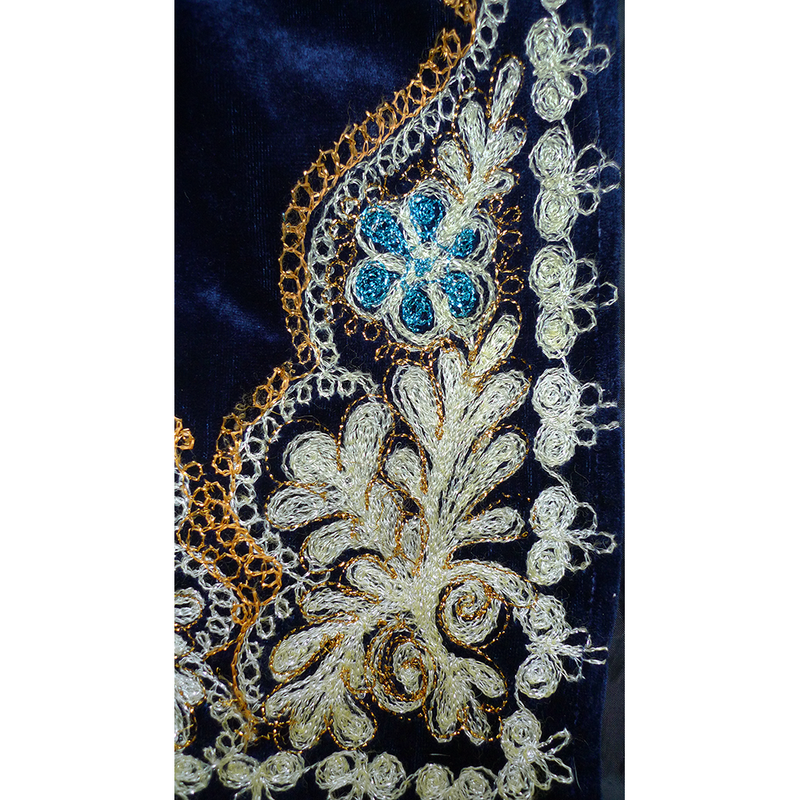 It’s a smaller version of the traditional Bukharan man’s embroidered velvet robe that would have been worn at weddings. 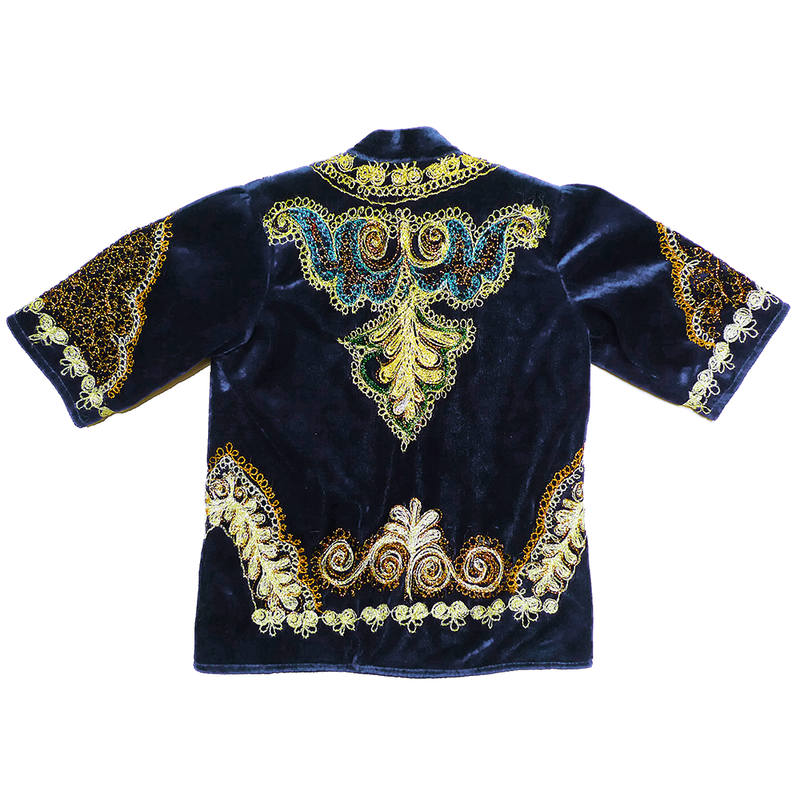 While it’s not hand-embroidered, it still has the look of a special little coat.